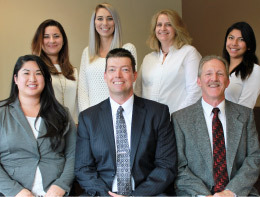 Come in and meet our Fremont team! Dr. Hans Freericks first opened Discover Chiropractic in Fremont in 1996. Dr. Hans and his team have over 50 years of combined experience to serve your needs. We’ve taken care of countless people over our many years in practice. We’re confident we can help you and your family find wellness, together. Let us show you the miracles chiropractic care is capable of giving to you! We’re here to help as many people as possible live happy, healthy lives. We emphasize corrective chiropractic care. This type of care means that if you’ve been suffering from pain, we’ll thoroughly assess your conditions and determine how best to help you. We will recommend a course of care to get you out of pain as fast as possible, and also give your recommendations if possible on how we can fix what is fixable and stabilize the rest so the pain does not come back. After this phase is completed, we welcome you to become a maintenance patient with regular checkups to continue your health. Our goal is to help you achieve optimum health and then maintain it. Living in pain is not normal. Pain is your body telling you that something is wrong. If that pain is being caused by a pinched nerve or nerve interference, we may be able to help. We hope to get you started on your journey to wellness, and to be able to make a difference in your health and your life.